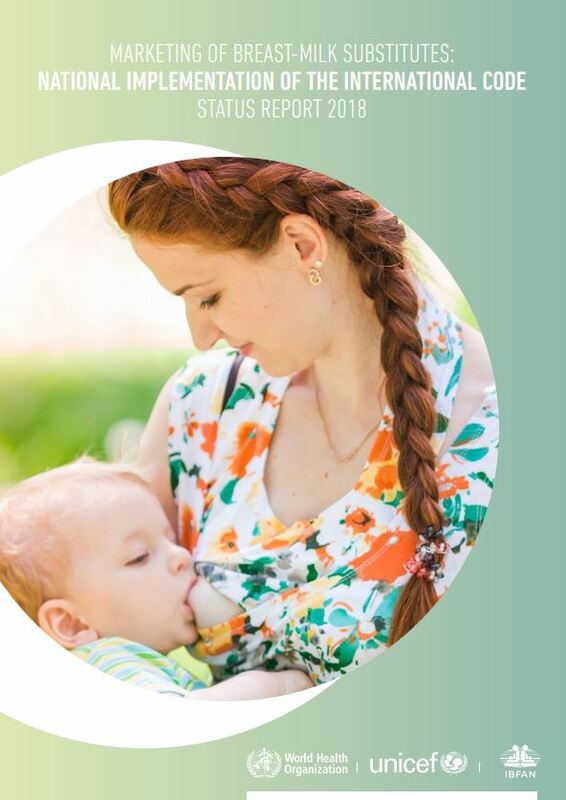 This report provides updated information on the status of implementing the International Code of Marketing of Breastmilk Substitutes and subsequent relevant World Health Assembly resolutions (“the Code”) in and by countries. The report documents the adoption of new legislation implementing the Code in a few countries since 2016, and formulation of additional measures to strengthen existing legislation in others. It also provides a regional perspective on the legal status of the Code, and in countries where such information is available, the extent to which Code provisions have been incorporated in national legal measures. A preliminary analysis of selected legal provisions in those countries where complementary foods are listed as designated products in their Code-related legislation is also documented. This serves as a baseline assessment of the 2016 Guidance on ending inappropriate promotion of foods for infants and young children (“the Guidance”) and provides a useful starting point to assess the extent to which the current legal and regulatory landscape in countries is supportive of effective implementation of the recommendations of the Guidance. WHO, UNICEF and IBFAN collected information from country and regional offices on new or additional legal measures adopted by countries since 2016. In addition, for countries with missing or incomplete information in 2016, further investigation was conducted on the status of Code implementation. A re-examination of legal measures was undertaken for all countries with new information. For those countries that have adopted legal measures since the 2016 report, the relevant legal documents were obtained through the ministry of health, and with the assistance of regional and country offices. Documentation was also obtained from legal databases (LexisNexis 5 and FAOLEX 6), national gazettes and internet search engines. Where needed, additional copies of legislation and translations were acquired from UNICEF and IBFAN-ICDC (International Code Documentation Centre) files. The documents received were then reviewed, based on the comprehensiveness of the provisions included in the national legal measures in all WHO Member States, and categorized as countries with full, many, few or no provisions in law. As of April 2018, 136 out of 194 countries had some form of legal measure in place covering all, many or few provisions of the Code.